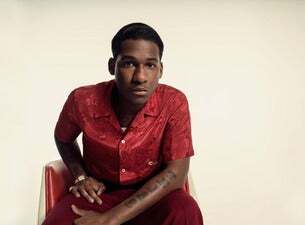 LEON BRIDGES has announced he will return to Australia in January 2019 for his fourth visit and biggest shows to date. The R&B artist will take in Melbourne’s Palais Theatre on Monday 14th January, Sydney’s Hordern Pavilion on Thursday 17th January, and Brisbane’s Tivoli on Saturday 19th January. On a short visit earlier this year, Bridges previewed material from his then, forthcoming album in two sold-out shows in Sydney and Melbourne, plus two dynamic Bluesfest sets. This summer, the Texan singer-songwriter will return to sweep audiences off their feet once again. Bridges has gone from honing his craft in a community centre – dancing while washing dishes and waiting tables - to huge success in just a few short years. He has appeared on tracks with Macklemore and ODESZA, performed for Barack Obama’s Birthday at the White House alongside Stevie Wonder, and has chalked up dual Grammy Awards nominations including Best R&B Album. His debut album COMING HOME was certified Gold in Australia, and has gone on to sell over 500,000 records and over 350 million streams globally. Warming the stage will be US singer-songwriter Noah Kahan, returning to Australia after packed debut shows earlier this year. Platinum ARIA single ‘Hurt Somebody’ (with Julia Michaels) went wild globally, and showcases his unique brand of stripped-back acoustic folk flair. No stranger to prestigious support slots, Kahan has also toured with the likes of Lauv, Ben Folds, Milky Chance, and George Ezra.